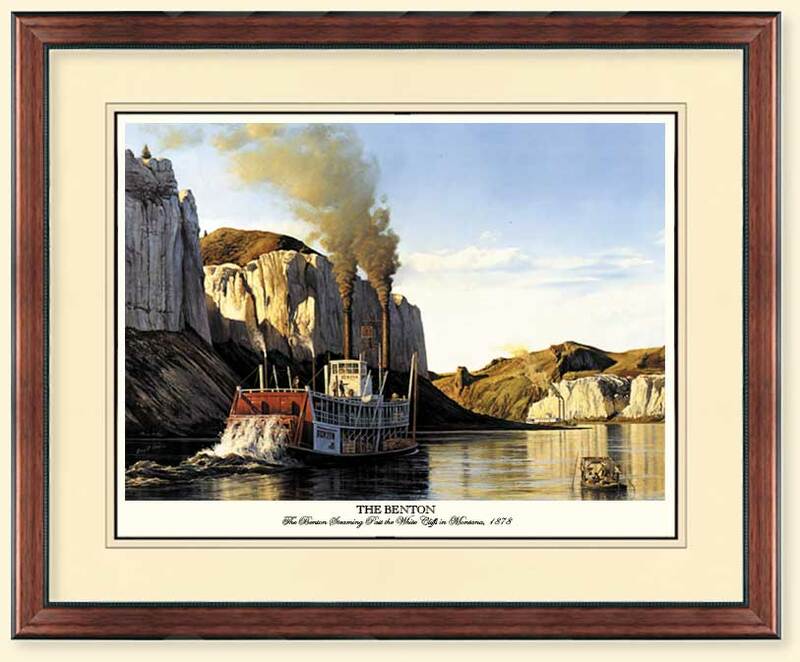 The BENTON was christened in the muddy river water near Pittsburgh on the Ohio River in 1875. She was a spoonbowed mountain steamer, destined to travel the treacherous waters of the western frontier. As her reputation grew she would be nicknamed "The Old Reliable." The BENTON drew only 18 inches of water without cargo. Fully loaded with 394 tons she would draw four feet. Thus the sternwheeler was able to weave and bob her way though some of the most difficult channels in the world. In addition to her nickname "The Old Reliable", it could be said that she had many lives. 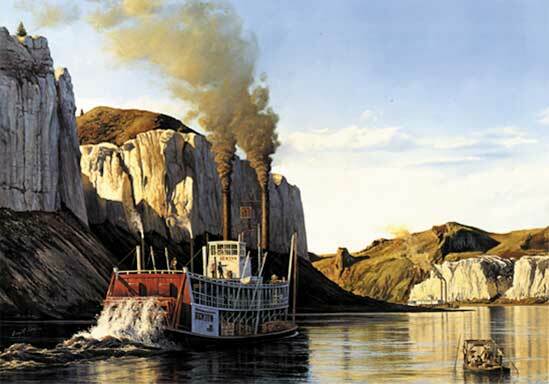 After her sale in 1887, she was reassigned to the lower Missouri River. It was there that she sank and was recovered four times, only to go down a final time as she met a bridge pier in Sioux City, Iowa in 1897.